This is a guide about cooking hyacinth beans. The hyacinth bean vine (lablab purpureus) is edible. It produces beans that are found in markets and cooked or ground for porridge meal in Africa. I have the most magnificent Hyacinth Bean vine, complete with beans now. 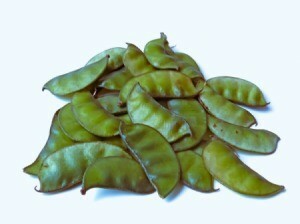 How do I cook them, like snow peas? I know the leaves, flowers and beans are edible but when I sampled a flower, it had a pungently raw bean flavor. Is there a way to tame that strong flavor? I'm thinking par-boil, but does anyone else eat them and have the secret cooking or seasoning technique to share? It's my first year to have them and I'm both impressed and amazed at them, and feel that if they taste as good cooked, I'll fill my fences with them! that says they are poisonous. I'm not sure if these are the same ones you have. Connie also says that dry seeds should be cooked with 2 changes of water before eating. That discusses them. It's hard to know but it might be that the poisons build up over time or the way you cooked them made them safe, or the kind you are growing aren't poisonous. For all who are worried about hyacinth beans, I come from Africa and there we always eat the hyacinth beans, dry ones which are black with the white seam. Mayb they are a different sub group but believe me we eat them. My grand mother always said that the roots are poisonous but the dry bean is not or maybe our stomachs are different. The dry beans are sold all over the markets. In fact in some restaurants, they sell hyacinth bean meals (made from dry hyacinth beans). In fact even my mom used to even grind them with other cereals for porridge flour. Warning"Dry seeds should be well cooked in two changes of water before eating. Raw dry seeds are poisonous and can cause vomiting, labored breathing, and even convulsions and unconsciousness." I grow Hyacinth Beans for their beautiful flowers and pods only for looks. Everything i have read on them gives a huge warning of poisonous conditons handled the wrong way. My own personal opinion is that I would not eat them at all. Everything I have read on them post a big poisonous warning sign on eating them. After posting my tip about the surprise of how wonderful the Hyacinth Bean is, I found this "warning" notice from someone, and wonder if all growers should be notified? All their growing tags say, "all parts edible". It has been 24 hours now, and I have not a single sign of distress, much less any kind of poisoning, and these beans could not taste better! There is a Hyacinth water flower that may be poisonous. I've had those kinds of Hyacinths in my bog garden, but never been curious or tempted to eat any of them.) Perhaps someone could do more research on this issue? How could a garden center sell the bean as a flowering vegetable if it is poisonous? There were absolutely no warnings of this sort on the seed package. I have an organic garden so I am very cogniscent of such labels.